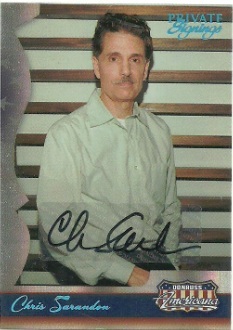 Chris Sarandon is a great actor. He’s played Jack from the Nightmare Before Christmas, stared in the original Fright Night and was Prince Humperdinck in the Princess Bride, he was even in an episode of Charmed. Great addition to my collection. Claudia Christensen is best known for staring in Babylon 5. 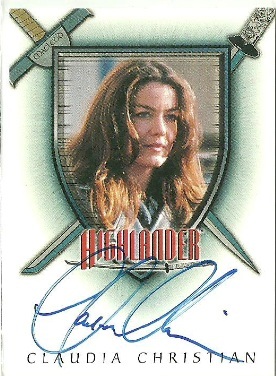 She did a few other things like Highlander, but nothing really huge. However she’s a big Sci-Fi name and one i’m pleased to add to my collection. 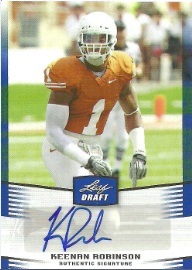 Keenan Robinson is an OLB who played for Texas and is slated to go in the 3rd or 4th round in the NFL Draft.